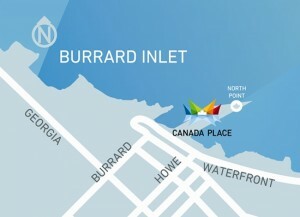 Back by popular demand, Waterfront Cinema will be hosted this summer on the North Point at Canada Place. Guests are welcomed every Thursday evening from July 12 – August 30 to watch a free movie under the stars and on the water. Come and check out this year’s lineup of blockbuster hits! *Note: As the space has a limited capacity, we recommend you arrive well in advance of sunset. Space will be filled on a first come, first serve basis and access may be restricted once the site is full. Guests are encouraged to bring a blanket or lawn chair, then sit back and enjoy the show. Beverages and popcorn will be available for purchase onsite. As this is a family-friendly event, no smoking or alcohol is permitted. Seating is limited, so arrive early to secure your spot! Please note that movies may be cancelled in the case of rain.